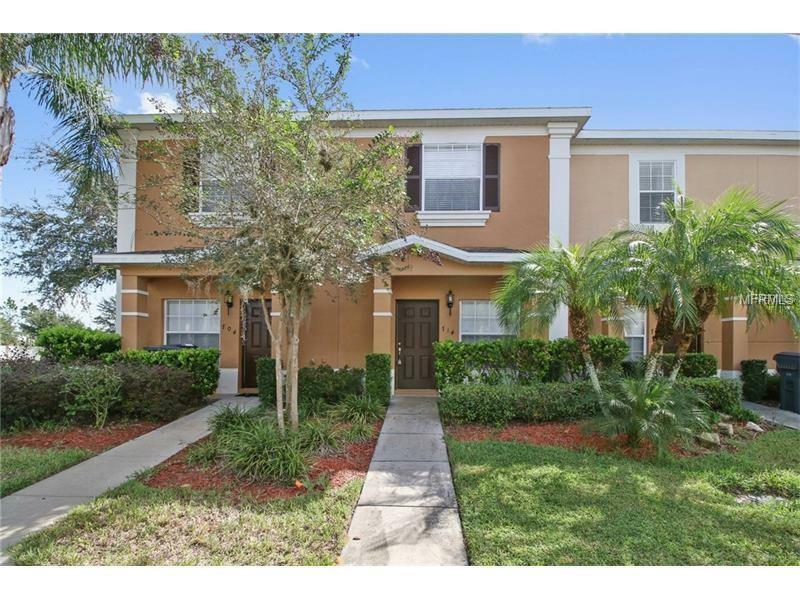 Spacious 2/2.5 townhouse in the highly desired community of Legacy Park with LOW HOA dues! Located 20 minutes from major attractions with easy access to 192, I-4, and the 429 This townhouse features can open floor plan with ceramic tile floors throughout the downstairs and wet areas! Large kitchen with 42" cabinetry, and breakfast bar! Lovely screened-in patio overlooking an open green space and no back neighbors! Outdoor storage unit is also ideal! Inside utility hookup upstairs! all bedrooms upstairs, each with private bath ceiling fans in both bedrooms! Towns at Legacy Park offers residents a gorgeous resort-style swimming pool and heated spa + covered lanai, outdoor shower and community bathrooms! Low HOA dues and close proximity to a wide variety of shopping, dining, and entertainment makes for a perfect investment opportunity or vacation home! Dont miss this opportunity and schedule your appointment today! All measurements, sizes, and community information, must be independently verified.